As we head into the colder months of the year, it is important to prepare for possible power outages so that your home can remain warm, even if the power is out. When the power goes out, there are simple and easy things you and your family can do to keep comfortable as you wait for the power to come back on. As homeowners brace the colder months of the year, it is important to prepare for the possibility of power outages. Without energy in the home, maintaining the warmth that is relied upon to combat the cold temperatures can be extremely difficult. In order to prevent this from happening, finding ways to remain warm is important, especially if the power is out. For those times when a home loses power in the winter, there are simple and easy things you and your family can do to keep comfortable as you wait for the energy to be restored. 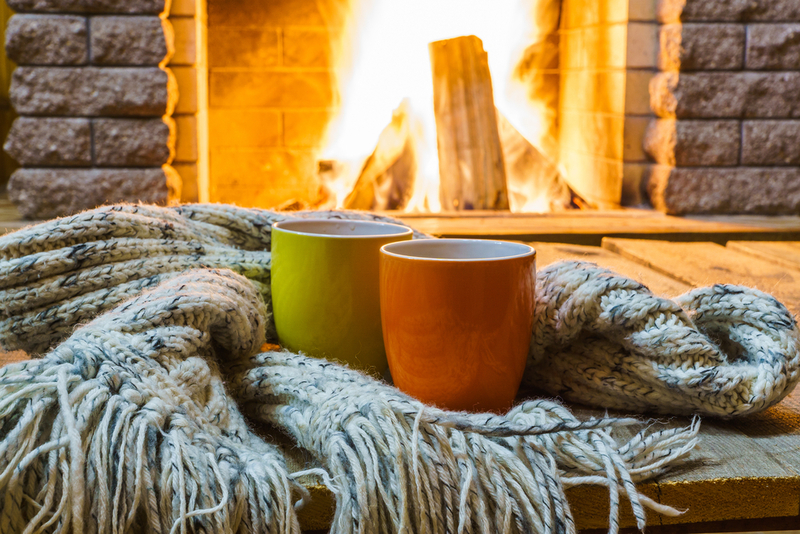 Stay warm even on the chilliest days with these helpful tips. When there is no power to heat your home, your body can quickly feel the outdoor temperatures and struggle to stay warm. Layering clothing is one of the easiest ways to ensure your body maintains its temperature when you do not have power. From your head to your toes, layer your clothing to give your body the extra heat it needs. Don’t forget about your feet, hands or head when layering your clothing, as those areas are where your body can lose the most heat. You may feel silly doing so, but wearing hats and gloves, even when you’re indoors, can really help your body remain warm as you wait out the power outage. As the sun goes down, so does the temperature, which means your home may get colder during the night time hours. If your windows have curtains, use them to ensure your home is staying as warm as possible without power. Curtains provide extra protection from the cold air seeping through the glass or possible leaks in windows. If not all of your windows have curtains, don’t worry, you can use blankets to block excess cold air from entering your home. Simply fasten the corners of the blanket around the window to act as a curtain. In the morning, draw back your curtains and take the blankets down to let sunlight into your home. Something as simple as sunlight can make a big difference in your home’s temperature when you are without power. If your home is without power, fireplaces and candles are great ways to add some extra heat to your home. If your house has a fireplace, stock up on firewood at the beginning of the season and don’t forget to store it in a dry place. That way, if you lose power, you will have enough dry firewood ready to both heat and light your home. Along with fireplaces, candles are another way to provide some extra heat. By placing candles in rooms throughout your home, you can add some light and warmth until the power is back on. When using a fireplace or candle, always remember to use caution around open flames. Coffee, tea, and hot chocolate are the perfect treat for a chilly day. As you keep your home warm with the tips above, remember you can take steps to warm the inside of your body as well. You can invest in a portable gas burner to help heat the liquids and give your body the extra warmth it needs during a power outage. As you do, it is important that you remember to read the safety instructions. Drinking and eating warm liquids is important to ensure your body temperature remains at a healthy level. When the power goes out on a cold fall or winter day, break out the blankets for some extra warmth. 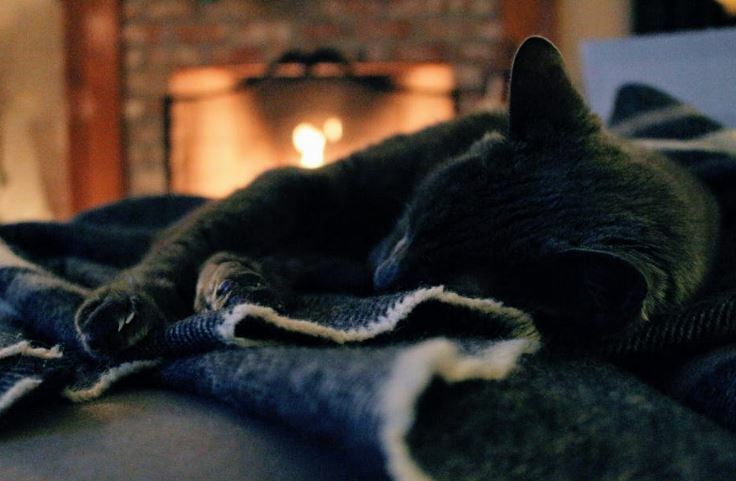 From sitting in front of the fire, to cozying up on the couch, blankets are a great way to cover your body in a little extra heat. Since most blankets do not cover your entire body, make sure to wear socks and even a hat to ensure all areas of your body are covered. Grab all the blankets you can find and wrap yourself up the next time your house is without power on a chilly day. Physical activity is a great way to get your heart rate up and more importantly get your body warm. In the event your home loses power, you can use exercise to heat things up for a time. This won’t even require extended activity as something as simple as a few sets of sit-ups, squats, or even jumping jacks can help you start beating the cold. And bundling up in several layers of clothes or extending the time in which you workout can further help you warm yourself up. A chilly temperature may be a welcome change as you try and cool down from the exertion. For those with a gas oven, baking and cooking can be a great way to restore the heat within your home without the use of power. This can also act as a means of killing two birds with one stone as not only will you be preparing yourself something to eat, you’ll more importantly be warming up your space. For those transferring goods from the refrigerator to the oven, it should be noted that the refrigerator and freezer doors should be opened and closed quickly to prevent the cold air from escaping and putting perishable goods at risk of spoiling. Preparing warm foods like soup can also help to keep you toasty even after the oven has been turned off. At night a cold house without power can feel even colder. And for those who may be preparing to go to sleep, helping to promote the warmth that keeps things from getting too frigid will make falling asleep that much easier. In addition to several layers and possibly some socks, throw a few extra blankets on your bed. This will help you remain toasty for the nighttime stretch even if the house doesn’t have power. It is also important to sleep on the higher levels of the home because the heat in the house rises, making those rooms warmer than the ones on the lower floors. Keeping your house warm without power can be a challenge. If you ever find yourself in need of some heat without the luxury of energy, consider enlisting the help of any of these tips to aid you in staying comfortable. Over time, you may find ways to improve on some of these heat-generating pointers or even discover your own unique methods for overcoming the colder temperature. However you do it, keeping your house warm without power will make you that much more grateful for heat when the energy is finally restored. What are you doing to keep your house warm when you lose power? Is your home prepped for the cold weather yet? Share with us on Facebook!